These Terms and Conditions apply to your use of the ao-business.com websites and every order placed with business, whether on the web, over the phone or by email. We're passionate about our customers and so the following sets out the terms and conditions that apply to your order in what we hope is a straight-forward and business friendly way. When you place an order, you are offering to buy the product(s) from us and we will send you an order confirmation via email. However, your offer shall only be accepted by us once we place the product you have ordered onto the delivery van and only then shall a legally binding contract be formed between us. Until then we can decline to supply the goods – we will try to ensure that this never happens but we do however, reserve the right not to fulfil your order for any reason if, for example, we have made an error on the price or similar or we simply can't get hold of the model you need. In the event of these circumstances, we will contact you to discuss whether you would like a replacement/alternative, or refund you any price you’ve paid to us. We communicate our availability on the website, over phone and email, for the chosen delivery date. Where we display the earliest available delivery day prior to the checkout, postcode restrictions, stock, quantity and time of day restrictions may apply. For the most accurate delivery date to your home, chosen address(es) you should enter complete address details including postcode and access information when you’re in the checkout. For customers paying via BACS, product availability will be guaranteed for 5 working days, and if payment is not received in this time, we cannot guarantee the stock will be made available. We will contact you to arrange an alternative. For customers paying via BACS, we suggest a delivery date at least 5 working days in advance is selected to avoid a need to re-book once payment is received. We deliver thousands of products a week and so we have to rely on a computer system for our stock control. Computers are better than people at this stuff on a big scale but even they occasionally get it wrong. If we get this wrong we will tell you as soon as we know and we will try to sort it out for you. We try to specify accurate dimensions for every product listed on ao-business.com and over the phone/email when requested. However, please be aware that the product dimensions do not include any protruding features such as controls and handles etc. and product dimensions represent the casing of the product only. Whilst we try to be as accurate as possible, all sizes, weights and measurements quoted on the website are approximate only. Similarly, we've made every effort to display all product colours accurately. However we can't guarantee that the image displayed on your monitor will accurately reflect the true colour of the product delivered to you. Please also be aware that colours may differ between manufacturers. Whilst every effort has been made to ensure that product specifications are correct on the website, due to continual product development through research & design, specifications may change without notice. All the prices we display exclude VAT, and exclude charges for delivery and other services such as disconnection & recycling of your old product, or connection/installation, unless stated specifically on the website/over phone/email. You can see further information on our delivery and ancillary services here. Our 'Price Match Promise' matches the price of the product including any delivery charges applied by specified competitors, subject to certain conditions. Please see here for further information. From time to time we may offer products at sale or promotional prices. Any such offers will apply to selected products and be subject to availability. Delivery charges, conditions and geographical exclusions may apply. Please refer to individual product pages for pricing. We may also offer delivery and services (including installation) at a reduced rate as part of a promotion or for bulk orders. This is subject to availability and can be withdrawn at AO's discretion. For example, a promotion offering Free Next Day delivery is only valid whilst we have the capacity to offer Next Day Delivery. This is capped at 5pm in some parts of the UK. If you have received a quote from AO Business regarding a possible order, these are only valid for 48 hours unless communicated otherwise by ourselves. 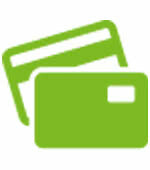 You can pay with more or less any type of credit/debit card. This includes Maestro, Delta, MasterCard, American Express or Visa card and we do all we can to ensure your details are secure. If there are any problems with receiving payment we'll let you know. If you select BACS as a payment option, you will receive a Pro Forma from AO Business, which will give you our bank details so you can pay for your order. We suggest that payment is done at the point of ordering as any stock requested will only be ring-fenced for a maximum of 5 working days, to allow for payment to be confirmed. Once we have confirmed payment, an order confirmation will be sent to you by email, and if the original date of delivery has passed, we will contact you to arrange a new delivery date. In the event that the payment has not been completed within 5 working days, we reserve the right to cancel the order. Please note products will not be despatched until payment is received. From time to time, we’ll offer discount codes on selected products. Discount codes will be available for limited time with eligible dates clearly visible. They’re also subject to availability and can be withdrawn at any time. Discount codes can't be used in conjunction with our Price Match Promise. Discount codes can only be redeemed on ao-business.com or on the phone and you can only use one discount code per order. If you’re returning part of an order that’s had a discount code applied, your refund will be for the full amount minus the discount applied. Unique codes are a little different from our normal discount codes but everything mentioned above still applies. Your unique discount code has been generated especially for you and can only be used once. When you’re ready to redeem your offer, simply copy and paste it into the discount code box. You’ll find this on the basket page when placing your order. This code can on be redeemed online or over the phone. We offer home delivery to every mainland UK postcode (excluding Scottish Highlands, Scottish Islands, Channel Islands, the Isle of Man or the Republic of Ireland). Unfortunately, we don't currently deliver Computing products to Northern Ireland. Delivery will normally be made through our sister company, Expert Logistics Limited. Expert has a phenomenal delivery success rate that we are very proud of and a will to deliver that we cannot fault. On the day of delivery, we will text and email you a 4 hour timeslot. Please note that this is estimated. For smaller items we will sometimes use DPD who also provide a fantastic service. Please note that deliveries coming from different warehouses may not be delivered together. Our Click and Collect service is provided by Collect+. Click and Collect is not home delivery; instead your product will be delivered to the store of your choice; this will be chosen from a list of available locations at point of order. There are some postcode limitations with the Click and Collect service, you can check postcode availability in the basket. The products we deliver are often big and heavy items to lift, so there will be certain occasions when they may be unable to get it into the property. Lots of steps, narrow corridors, radiators and restricted parking are all things that may hinder our ability to deliver; it is your responsibility to ensure access to your property. In situations where we cannot gain access, we may be able to offer delivery to the nearest point possible e.g. your garage, so you can make arrangements to get the product in. If we believe successful re-delivery is viable when you have taken the necessary measures, we will attempt another delivery however we reserve the right to not re-attempt delivery; in this case we will always give you a full refund. If there is no answer when we attempt to deliver your order, we reserve the right to charge/recharge for delivery, subject to the reasons for the no one being available to take delivery. If the person accepting delivery of the appliances is someone other than the person placing the order, add the details of this person to the order so we are able to contact them on the day of delivery about the order. Bladed items, including chainsaws, grass trimmers, hedge trimmers, multi tools and saws, can only be purchased if you are 18 years of age or over. If you are underage please do not attempt to order or purchase these products. We complete age verification checks on orders for bladed products and our drivers, if appropriate, also check that delivery recipients are over the age 18 years old. We reserve the right not to supply any age restricted products where we reasonably believe that you are below the relevant legal age. Occasionally something will happen out of our control that closes roads or impacts our distribution facility, like floods snow or other adverse weather conditions or things like, sporting events which result in closed roads. In this event we'll block any affected dates out of the checkout delivery calendar. If you've already selected your delivery date and you're affected, we'll contact you as soon as possible to arrange alternative delivery options. We will do what we can, but can’t be held liable if we can’t fulfil delivery due to reasons beyond our control. Unfortunately, on the rare occasions where a delivery is unsuccessful or late for reasons beyond our control, we shall not be liable for consequential losses, for example, the costs of an engineer whom you have booked to fit an appliance or food deliveries ordered. Please note, we don't currently deliver Computing products to Northern Ireland. Disconnection is available for certain existing appliances that are plumbed into water pipes. We can only disconnect cooking or built-in/integrated appliances when you select the installation service at the checkout. Please note that disconnection is covered in the installation charge on cooking and integrated appliances. Unfortunately, disconnection is not available for hard-wired dishwashers, cooling or laundry appliances. If you have ordered a disconnection service, there are a few things you will need to do before we arrive so we can disconnect successfully. If it's a fridge or freezer, please make sure it's defrosted and all food is removed. For washing machines and washer dryers, any clothes will need to be removed from the drum. If we’re disconnecting a dishwasher, please make sure all plates and cutlery are removed. If you’re making use of our recycling service and have not opted for our disconnection service, please disconnect the appliance before we arrive. We only charge for the cost of transporting your appliance for recycling. 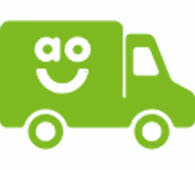 Alternatively if you wish to return your appliance to us at no charge then this can be accepted at our delivery company's premises; Expert Logistics, Weston Road, Crewe, Cheshire, CW1 6BE - Monday to Friday 10.00 to 16.00. Proof of the delivery of our product will be required and they can only accept like for like items to those that were delivered. Please note that our premium connection service is not available at commercial properties that don't have a secondary domestic meter. If you're making use of a connection/installation service and haven’t opted for our disconnection service, please disconnect (and defrost if necessary) the appliance before we arrive. From time to time we may offer installation services as part of a promotion, for example half price or free installation. Postcode and order size restrictions apply; you can find out if installation is available in your area in the checkout. We have an elite team of Gas Safe engineers who are also skilled in electrical connections and able to install your new cookers, range cookers, hobs and ovens. The charges for our gas and electrical installations are clearly highlighted on our Gas and Electrical Connection page. If you need us to disconnect your old appliance, we will do this when we arrive (and for gas and hard-wire installations, disconnection is included in the installation charge). Please ensure that you have suitable ventilation. This could be an extraction fan or a window that opens. You need to check the dimensions of your new appliance and make sure there'll be enough room around the back and side for ventilation once we've installed it. You need to make sure you've got an adequate gap between your cooker or hob and anything above it. The dimensions of this space, known as the "Hot Zone", need to comply with the manufacturer requirements and Gas Safe legislation. It also needs to be completely clear of any flammable materials, such as wallpaper, cupboards or shelves and plug sockets. If we arrive and the Hot Zone isn't clear, we won't be able to complete your installation. There needs to be an existing gas supply to the installation point. The room that we're connecting into needs to have a door or window to the outside of the property to allow for adequate ventilation and we also need access to a 3 pin electric socket within 1.2 metres of the installation area. If you're planning to run your appliance using cylinder gas, you'll need to make us aware when you place your order. This helps us make sure we've got everything we need to connect it when we arrive! We will install all hobs based on the current hole in the worktop not being any larger than the size of your new hob. If required, we can make this hole bigger to install the new hob but we can only cut into worktops that are made of wood. This means surfaces such as granite, composite or metal will have to be the right size for installation before we get there. For electric cookers and hobs, we need to be able to access an isolation switch and electricity supply at the connection point. There are some induction hobs we can't connect due to the type of wiring required and we'll only be able to know for sure when we arrive. If this happens, you'll need to call out an electrician to complete your installation. If we are connecting a built-in or built under oven, we'll also assess the housing before installation to make sure it's safe for use and can hold the weight of the appliance. We'll check to make sure there isn't any existing damage and unfortunately, if we do find damage, we'll not be able to fit your appliance. You need to make sure you've got an adequate gap between your cooker or hob and anything above it. The dimensions of this space, known as the "Hot Zone", need to comply with the manufacturer requirements and Gas Safe legislation. It also needs to be completely clear of any flammable materials, such as wallpaper, cupboards or shelves and plug sockets. If we arrive and the Hot Zone isn't clear, we won't be able to complete your installation. If you're planning to run your appliance using cylinder gas, you'll need to make us aware when you place your order. This helps us make sure we've got everything we need to connect it when we arrive! To install a gas item, our engineers will need to switch off your gas supply so that they can carry out the work safely. We'll always turn back on and attempt to restart any items you need us to. However, on occasion, some gas items - such as boilers - may not restart and you'll need to call out a Heating Engineer. This is very rare but if it does happen, we will not be responsible for any boiler repair costs. We now have a professional installation team who can take away the stress of setting up your new TV. The charges for our TV installation and recycling are clearly displayed on our TV Installation page. We'll unpack your new TV. Disconnect the wires from your old TV. Connect your new TV to the stand that’s in the box. We’re unable to connect to a furniture television stand (as in a piece of furniture with brackets for a TV). Place it onto a suitable flat surface of your choice. Connect any new or existing devices to your new TV (e.g. sound bars, satellite boxes, games consoles). There isn’t a limit to how many existing devices we can connect, but we won’t be able to correct or adjust any settings. Please also make sure you have any connecting cables (e.g. HDMI, scart cable etc.) ready when we deliver, as we won’t be able to supply them unless you have bought them as part of your order. If you've ordered a SMART TV we’ll try to connect it to your home WiFi. Please have your password ready, so we can get you up and running quickly. We’ll leave the exploring of the SMART features to you, as they are specific to your taste. We'll tune in your TV and explain some of its basic features, so that you can enjoy it straight away. We dispose of your old TV if you’ve selected it. Take away the packaging from your new TV. We'll happily connect any speakers or amps for you but are unable to mount them to your wall. Please check that your aerial and cable will reach the area where you want your TV installed and also that your plug socket or electrical extension lead is within 1 meter of your TV. Our installers do not carry extension aerials and will only carry an electrical extension lead to allow them to test your new TV and they’ll take it away with them. We won’t be able to lay cables under carpets, flooring or behind skirting boards. Some SMART TVs require a dongle to use the internet features. Please double check this as they are not supplied with the TV. Our installers will carry a spare dongle with them to test the internet connection on your TV, but will take it away with them. Our engineers are highly trained and will always do their very best to connect your TV but occasionally and mainly for the reasons above, this may not be possible. Where our team cannot complete the connection through no fault of their own, we reserve the right not to refund any connection charge paid. If you're not happy with your product or simply change your mind, you must provide us with notice of cancellation within 30 days of delivery to receive a refund. We’re happy for you to unpack the appliance and inspect it properly as you would had you bought the item from a shop. However, if you have used it beyond this, this may have a knock on effect on our ability to sell it to someone else and so where the value of the product is reduced by your use we may only make a partial refund (equal such reduced value) or subsequently charge you for the reduction in value. Where you have not used the product and it is returned in the original packaging you will receive a full refund. Your refund will be made within 14 days of collection or return of the appliance. To cancel a product and request collection please call 0330 058 0021. Please note, even if you choose the Click & Collect delivery method, we cannot accept returns to the store and will instead collect from an address of your choice. You will receive an estimated timeslot on the morning of your collection and must be at the chosen address for the driver to receive the goods from you. If an order is placed for Click and Collect delivery, you are unable to cancel your delivery after 9pm, 2 days before delivery; orders placed for next day delivery cannot be cancelled before delivery. You cannot make any changes to an order placed with Click and Collect as the delivery option. For orders with Click and Collect as the delivery option, if you do not want your product, the quickest way to get a refund is to go into the store you have selected for collection and reject the item. Alternatively you can leave the product in your Click and Collect store and it will be returned to AO after the collection period has expired, this will mean your refund will take up to 21 days to reach your account. Our 30 day cancellation policy also applies to any additional services you may have ordered. If you have ordered any additional services for a product then these will be automatically be cancelled when the order for that product is cancelled, unless the service has already been performed. If you order an additional service and expressly choose for that service to be carried out within 30 days of order (e.g. by nominating next day delivery, weekend delivery, a specific timeslot, or requesting an installation or collection within such 30 day period) and such service has been carried out, then you are deemed to have waived your cancellation rights and we shall not be under any obligation to refund any charges paid for any such additional services. Computing, gaming and mobile orders can't be cancelled or amended after your order, but they can be returned after delivery. Please note that software purchases are non-refundable. Computing products can’t be exchanged. Instead you are able to return your item for a refund, and then place a new order. If you wish to cancel your Computing order and it hasn’t been delivered yet, you can refuse delivery when it turns up and it’ll be sent back to us. If you're returning a sharp or bladed garden or DIY item, it'll need to be boxed before it can be returned to us. Batteries from any used returns will need to be disconnected. We're under a legal duty to supply products that meet the requirements to be of satisfactory quality, fit for purpose and as expected. Nothing in these terms will affect your legal rights. However, the items we sell are only intended for domestic use, not commercial use, irrespective of any purpose you may make known to us. The manufacturers may supply a warranty in addition to your rights under the Consumer Rights Act. In most cases you'll receive a 1 year warranty covering all parts and labour, or in some instances, it may be extended to 2, 5 or even a whopping 10 years by the manufacturer. You may need to register to qualify for these promotions – please check with one of our team. Here at AO, we strive to deliver a great service to every customer. We also like to be honest and fair in all we do, so we acknowledge that sometimes mistakes happen. If a circumstance arises where we are accountable for a mistake, we will take responsibility to the extent fair. If, during the installation process, our team causes any accidental damage, we will repair this damage. However, we cannot repair any pre-existing faults or damage discovered during the installation process. Should an issue arise with a cooling appliance, due to a fault on our part, we may pay compensation up to £250 for food loss or for the damage of secondary items (which excludes the appliance itself). If your computing product develops a fault which causes it to lose saved data, we can’t accept liability for that loss. If for any reason your computing product needs to be sent back to us or the manufacturer, it will be restored to factory settings and data will be lost. As we can't accept liability for any data loss, we recommend you regularly back up your data to a remote or external data storage. You can learn more about remote Cloud storage options here. As we only supply products for domestic and private use, we will not be liable for any loss of profit, loss of business, business interruption or business opportunity. Our registered VAT number is GB945698169. If you have any questions, you may be able to find some answers in our FAQ’s. Our intention is to give you all of the information you need so you never need to call us. However, if you want to check something, change something, ask a question or simply find out about life in general then we have a dedicated team of AO Business people waiting to take your call on 0330 058 0021. Alternatively, you can email us on [email protected] or write to us at the address given above. Supply and deliver the products. Process your payment for such products. You agree that we may pass your personal information to our delivery agents or credit reference/fraud preventions agencies and that they may keep a record of any search that they do, and manufacturers for product safety reasons. We will not give your personal data to any other third party without your consent.